Barnwell County (pop. 22,621), north of Allendale County, was named for South Carolina soldier and politician John Barnwell (1748-1800). It’s the only Barnwell County in the U.S.
A large part of Barnwell County is occupied by the U.S. Department of Energy’s Savannah River Site, which was built in the 1950s to refine nuclear materials for nuclear weapons. No trespassing, but there are occasional public tours. The county seat is the city of Barnwell (pop. 4,750). Barnwell City Hall (1887) was originally the Bank of Barnwell. It was renovated by the city in 2008-2009. 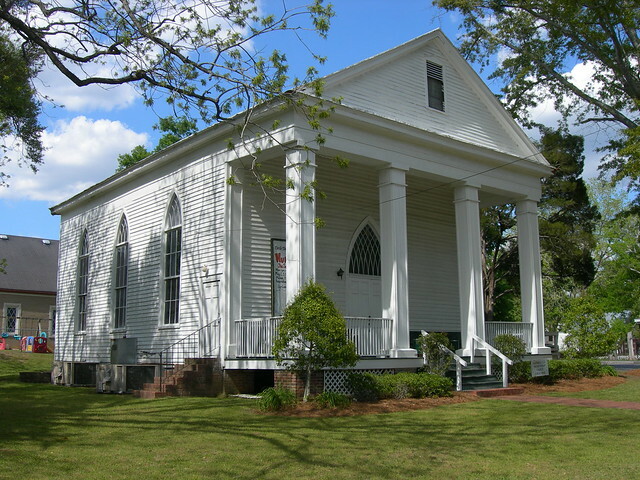 The former First Presbyterian Church (1848) in Barnwell is now the home of the Circle Theatre, a local community theater. It became a theater in 1974. Barnwell has a free-standing, vertical sundial in front of the courthouse; it’s been telling the time since 1858. It may be the only one of its kind. 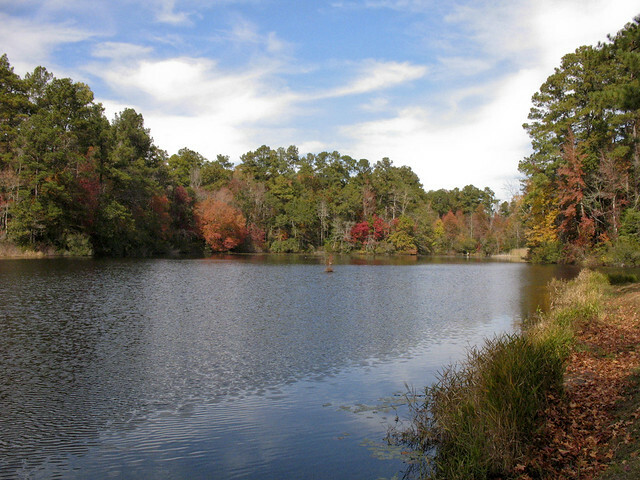 Barnwell State Park is on the outskirts of the town of Blackville (pop. 2,406). 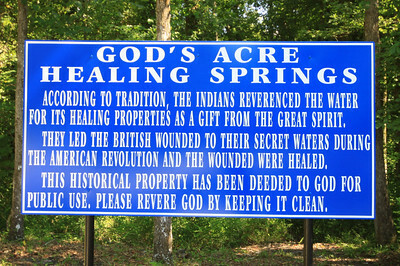 Also near Blackville is God’s Acre Healing Springs, a natural spring with a tradition of healing power.